It is necessary to complete the per-consultation questionnaires as this will save valuable time and allow your experience to be more beneficial and tailored towards your personal goals. 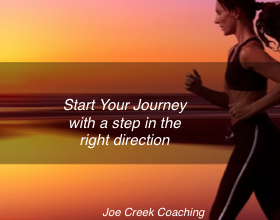 Once you are logged in to your personal account within www.joecreekcoaching.com you can also request to book your Consultation by accessing CALENDAR then my MY TRAINER'S CALENDAR. You can view available times by scrolling through the various options for example,; day, week, month. Once your ready to book your preferred time and date press REQUEST NEW APPOINTMENT. The requested appointment is then dealt with at my end and would either be accepted or rejected due to availability. Please note; if you are finding it difficult to book your preferred apportionment please make sure that time is available by checking MY TRAINER'S CALENDAR.